Permission-based email marketing is the foundation of every successful email marketing strategy. So, what exactly is permission-based email marketing? It begins with making sure you are getting permission before adding new contacts to your email list. Asking for permission shows your audience that you respect their privacy. It also ensures that you’re only communicating with people who are interested in hearing from your business. Permission-based email does not allow the buying of email lists and directly combats unsolicited email promotions, otherwise known as SPAM emails. In order for you to get started, or continue, with permission-based email marketing, we’ve gathered some of our best resources. 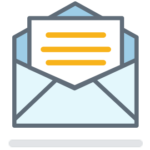 These resources will help you understand why permission-based email marketing is vital, how to get started, and how to comply with important legislations like the Canadian Anti-Spam Legislation (CASL) and the CAN-SPAM Act in the United States. Can I Send Emails to a List I Got from Another Business? Do you have a question about permission-based email marketing that isn’t covered in these resources? We’d love to help! Please leave a comment below.